Scalp Massage-The Wonder Massage That Eases A Variety Of Symptoms. The skull houses our brain and sinuses and, like the rest of our skeleton, is covered with many muscles. The scalp is mostly covered with fascial tissue which can tighten due to stress or postural issues. Some of the neck and face muscles also overlap onto the scalp- especially the ones that help tense the jaw and shoulders. The face contains the sinuses and over twenty muscles that let you smile, frown, and chew. There are also nerves, blood vessels, lymphatic vessels, and glands, amongst other anatomical structures. Massage can help fight stress, calm anxiety, and ease trauma. One great and simple technique to set the tone for healing is gentle head holding. Cradling the back of the head in the hands for a few minutes helps promote grounding and relaxation and starts a session in a calm and reassuring manner. Many people find powerful healing with this technique alone. After setting the tone with this technique, the therapist can then move into other soothing and grounding bodywork. Many people find relief from sinus pain and pressure with massage. 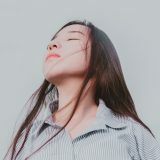 A combination of a few techniques over the sinuses and related structures can help relieve stuffiness and soothe tension. Gliding over the forehead and scalp, pressing through the eyebrows, and working along the sides of the nose and around the cheekbones can get things working. Then balancing and soothing with work over the rest of the head and adding aromatherapy and cold packs, can really relieve irritated sinuses. Because breathing rocks! A thorough targeted massage to the face, scalp, neck, and shoulders can also help ease symptoms of TMJ Disorders. Clenching, grinding, arthritis, injury, and many other causes contribute to TMJD. A protocol combining massage to the direct and indirect muscles involved can greatly reduce pain and improve function. A little added heat therapy can enhance the massage. Starting with the jaw and working out, the therapist can coax those muscles back into shape. So, massage on and around the head not only feels great, but it also serves to improve many health concerns. A skilled therapist can work the face and scalp to help with any of these goals, and more. 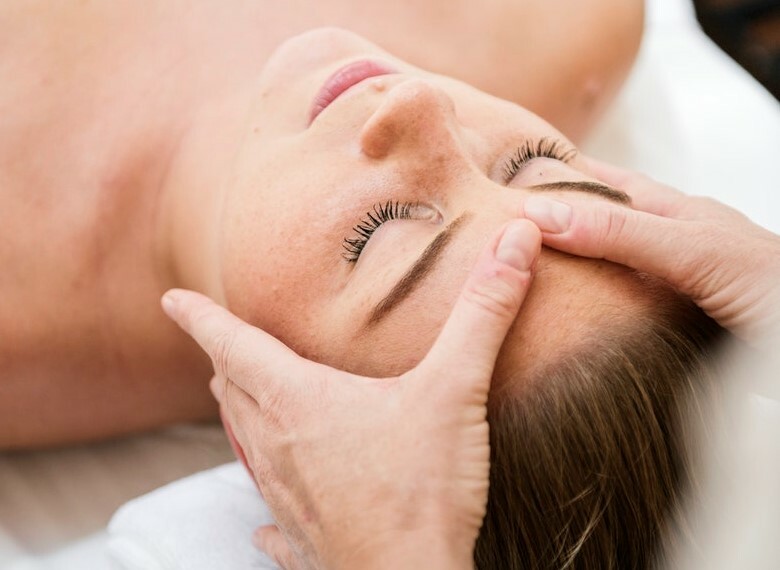 Face and scalp massage feels like a luxury but delivers great therapeutic value.